GIRLS TO THE RESCUE where POLITICIANS HAVE FAILED . In 1998, Fatima, Charro and Arturo work on this website to get help for Bolivia's vanishing rainforest. GIRLS PROVE to be BETTER LEADERS THAN LOCAL POLITICIANS IN LATIN AMERICA . When, in 1998, the child SEMBRADORES created this, Bolivia's first website to the world, they wanted help from the internet public in saving Bolivia's natural biodiversity. Carmen, 12, then leader of the Eco-Teams, specified that ONLY CHILDREN, specificly the GIRL Eco-Team leaders, be featured on this site, as adults are SOOOOO over-represented on the web. The Eco Teams were in Bolivia 1991-2002, and Guatemala-Nicaragua 2008-2014. They were so popular they are now preparing for activity in all of South America to quell the rise of gang-activity, pending the help of the internet audience. You may assist the nature-saving activities of the eco-teams by emailing and supporting the kids. Angelica established The Court of the Princess for bright girls in Latin America to advance beyond mediocre school education, giving them a chance to learn courtly manners and good taste in art. Unlike European royalty who mostly exist to provide celebrity magazines with gossip, the Court of the Nature Princess promotes true noble character. These girls become ambassadors to the artists and engineers who improve their villages. Reyna attracted so many youths to her eco-teams they became the moving force of her town in ecology, far more effective than the local government in protecting nature and teaching respect for plants and animals. When Katiela, Eco-team leader, was asked by the town authorities to help bring tourists to the remote Central American location, she consulted the Earthgardens and specified which of the region's historic Maya traditions the town would embrace, and which would be rejected. The bloody sacrifices, superstitions, and intrinsic pessimism left by the conquistadores OUT, reverence for nature, cultivation of beauty, and friendly affection for visitors, IN. The biggest challenge was changing the habit of constant aimless machete-wielding against plants by the men, and the insistence by school teachers that all boys had to have unsightly crew-cuts to be presentable. Yapanepet ordered the Bolivian Army to start protecting the rainforest. She once posted guards around the big trees of her village to prevent access by chain-saw-wielding macheteros. Her eco-team initiated a tree-planting program and started all households in their area composting garbage. Zenobia kicked all the boys out of the swimming holes. Nicaraguan boys tend to be rude and vulgar in groups, and they so dominated the local swimming places that no girls came. For the first time in her town, Zenobia made the water a place for GIRLS; boys only on good behavior. 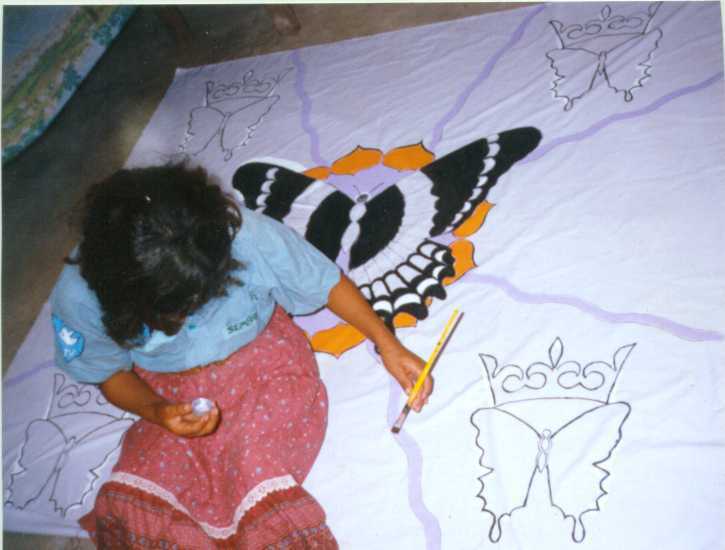 Deysi conscripted all the artists in her town and put them to work creating a new town image. She tapped the natural affinity between boys and girls and organized her village's first eco-team week-end assembly, popularizing ecological cooperation as a cool youth activity. 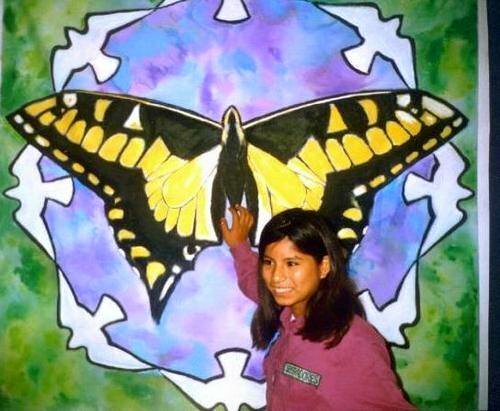 Rosalba painted 8 giant murals, posted numerous stencils in 12 towns stating "Bolivia es Biodiversidad", created and put video documentaries on local TV channels that aired prime time in Trinidad, Concepcion, Samaipata, Mairana, Campo Grande, Los Negros, Vallegrande, Comarapa and Pojo, Bolivia., and distributed thousands of free educational coloring books. Charro was the Earthgardens' principal documentary commentator. 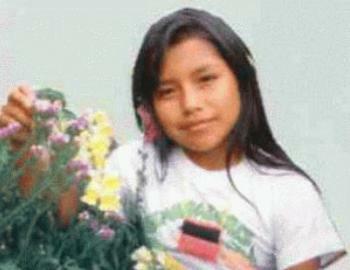 She spoke to the TV audience of the importance of Bolivia's forests and biodiversity. These messages were sandwiched in between beautiful home-made videos of Nature (with tunes from Tangerine Dream, etc.) 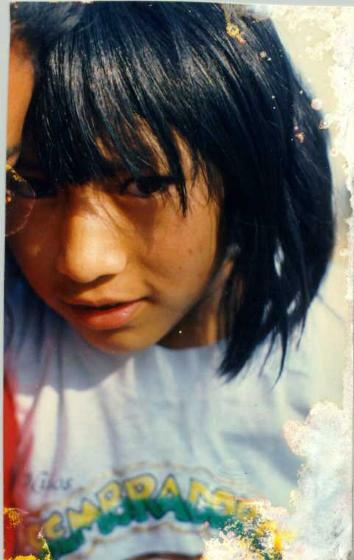 and films of the girls dancing which became very popular in Bolivia. TV transmitters from all over Bolivia asked for her productions. The Sembradores gave power to Native children, starting a movement in Bolivia which culminated in the election of Evo Morales, South America's first Native president. As leaders, you not only represent a new age of reducing corruption and adult mindslag, but you become the stewards of BENEVOLENCE, the highest calling for any person in authority. Each leader has her own stamps (which they like to color,) and merit money worth gifts to rural kids. (designs by our heraldist Dalai) This way, we avoid their Dads using the money for alcohol, a common problem in South America. 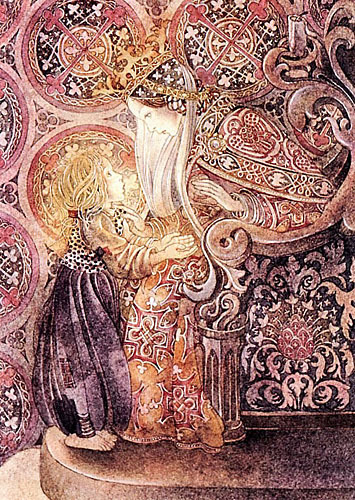 Katarina is the representative of the court of the princess in her village. 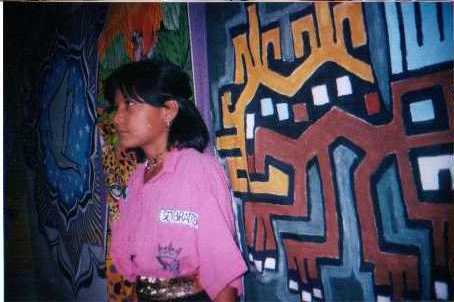 Mayan girls like to paint at the Earthgardens centers in Guatemala. Please show support. She regrets the societal separation between her and the people she would like to meet. Girls are natural ambassadors of human affection, and the world desperately needs that loving influence today. Let's let these girls be heard. Mutual Affection is the basis of a HEALTHY society. first award earned by this website in 1998. A beaming Marleni sits before the banner of the first team. The "primer equipo" in each town enjoys a pride and status that increases their team spirit and fun, even appearing on their T-shirts. 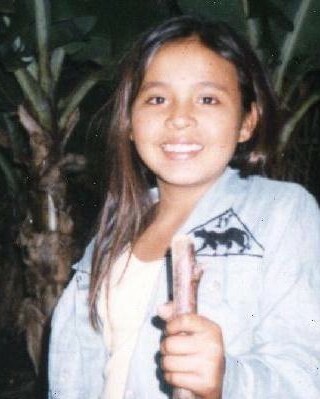 Marleni and her group were filming an environmental documentary that was aired three times in her town. Naturesaver Charro creates a new image for the first culture established consciously in the age of the Internet. This time we do it with love, not the pilage and murder of the conquistadores. And that love begins with the biosphere. Charro says human affection is the most powerful voice on Earth. You change things with love, not with arms or violence. There is no force on Earth so strong it can't be charmed with affection. Now that we've established the spiritual basis for our new society, we will begin constructing the new Amazongarden, using not politicians, but the noble contribution within each person. it will be a place of natural beauty and biodiversity, with clean water everywhere, and a leadership that promotes KINDNESS, not violence, to solve problems. New Heraldry for the Garden Continent, based on Nature. 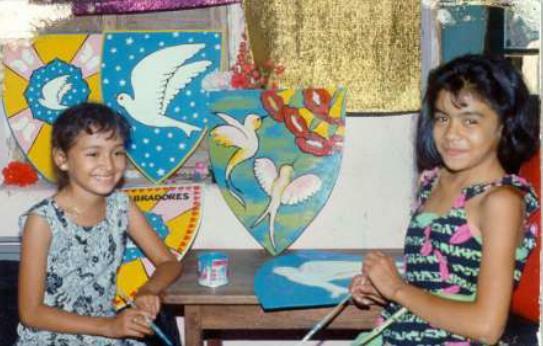 Girls in Camiri, Bolivia paint wooden shields for the EcoTeams. . THE EARTHGARDENS LEADERSHIP TODAY, 2018. THE NATURE PRINCESS: Girls prove to be better leaders than corrupt politicians in Latin America. GIRL POWER applied to saving nature and improving the village. OUR PHILOSOPHY< /A>:Let's make a culture together. This time consciously! The original PAGE 1 from 1998. Bolivia's first web page to the world. Mariela's page: The WORLD'S STUPIDEST TRADITIONS.We will put an end to them. Long overdue. Princess Rosalba's page. March 21, 2002: Rapid Culture change in action: For the first time in History BIODIVERSITY becomes a household word in Bolivia. THE ECO TEAMS Chain of Responsibility. This is the SOLUTION to GANG activity and unemployment in Latin America. EARTHFITNESS, the new standard of education for humans on planet Earth. Princess BLANCA's page: DELETE THE MINDSET. And Kids doing fun, and DANGEROUS things. Danger sharpens attention. .. THE NAVARATNAS ! Girl leaders to the rescue where politicians have failed. : Famous, Intelligent, Charismatic children. They are the stars on Earthgardens new constructive television! Other pages of the eco-team leaders. Earthsaver JANET's page on education: DIRECTIONAL SOCIETIES. Long overdue, , and CONFRONTATION EDUCATION to eliminate FEAR. EINSTEIN: "The most dangerous thing in the world is mediocre mind" . : It's the only REAL enemy. Petty mind has no place in a healthy society. Reigning Naturesaver Yapanepet's page: : Let's do education right. Half the day at the river, forest, meadow or mountain! Then the expansion workshops open, but nothing is mandatory. Kids choose what to attend. 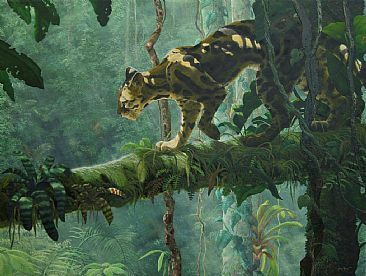 WANTED 100 GREEN ARTISTS in the Amazon: We won't save the rainforest with politicians. Artists, adelante! A message to artists by Earthgarden founder Daniel. Also a brief biography of Dalai. Earthsaver Velela's page: The cultivation of beauty. 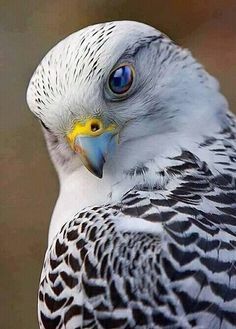 Let's stop the terrible destruction of beauty in South America today. Naturesaver Marcela looks for neural activity in the "Developed" World. And finds very little in their TV programs. : A new form of starvation, ...of the collective imagination. GOLD AND SILVER TO THE CHILDREN ! March 21, 1999: Gold and Silver hand-struck flowers circulates in the Earthgardens, obtainable by good habits. THE EXPANSION CENTERS: Mandatory Schools? No thanks! We want Expansion Centers!. : GIRLS, STAND UP to the COMPULSORY SCHOOL PRISON SYSTEM ! : Assert the vast untapped power of girls: Katiela's page. Naturesaver JUANA's page on archeology. 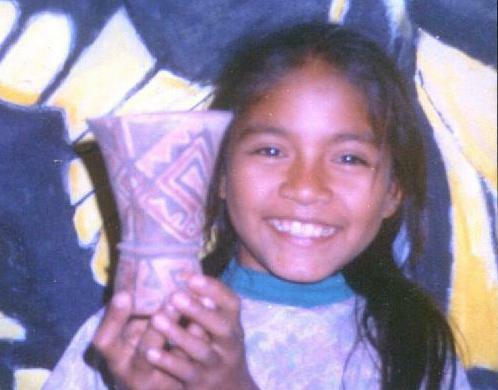 : She invites you to share pictures of pre-Inca textiles, a source of inspiration for our new culture. 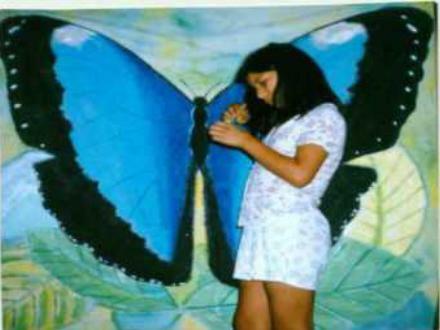 Princess Reyna's page : The final holocaust, the Holocaust of natural species taking place today. Conspicuously ignored by corporate media. "BOOKS by Daniel Dalai : BOOKS BY EARTHGARDENS FOUNDER DANIEL DALAI. The new transition to benevolent societies . "Our favorite President : Here is a man who puts heart in politics. President Jos� M�jica of Uruguay. He walks around with no security and lodges the homeless in the presidential palace. "The Girls who Took Over a Town :The Christian Science Monitor, April 16, 2018. How girls in India step up to improve their village despite "do-nothing men". "Robert J Burrowes, Architect of a saner society. : A great humanitarian thinker whose perception of modern society is spot on, and urgently needs to be heard. .
"George Carlin on KIDS : George Carlin is part of the bigger picture that kids can easily grasp but most adults can't, being too judgemental. The truth about the bad effects of too much safety and over-protection of kids. It not only makes weak kids, it declines a nation. .
"Street kids school in Afghanistan. : A great humanitarian effort to help children under repressive sharia law.. 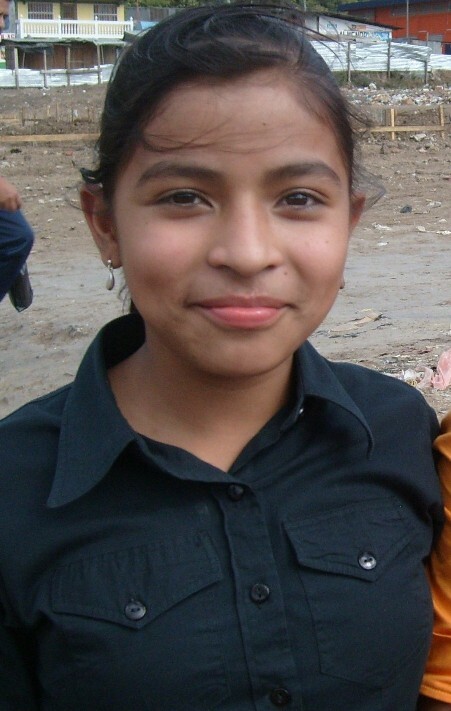 Bright child leaders like Yaritza out-smart and out-perform corrupt local politicians hands down. Join the movement to save the world's forests by taking power out of the hands of 3rd world politicians and giving it to girls. Hitcount since March 4, 2018.